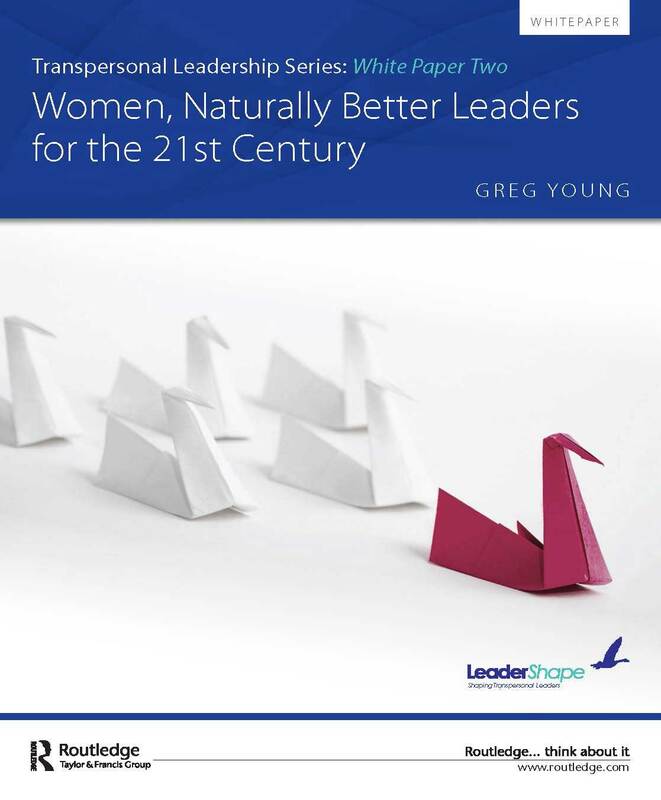 THE SECOND White Paper in our series on Transpersonal Leadership - Women, Naturally Better Leaders for the 21st Century - looks at the reasons why we have a confluence of women playing a greater role on the world stage in the workplace. It also covers the reasons behind some of the cultural barriers that hitherto have kept them from achieving parity at the most senior levels. Is it just a coincidence or a real sign of the future that as this paper is published we are probably on the verge of women leading the three most powerful nations in the Western world? Angela Merkel, the German Chancellor, and arguably the leader of Europe, Theresa May who has just become the British Prime Minister, and Hilary Clinton, who the polls suggest will become the first female president of the USA, in November. What a trio – and can they change the world for the better? Our Quarterly White Paper, revealed exclusively to you as a client or colleague of LeaderShape, reveals new data built around Emotional Intelligence attributes and comparing the strengths of men and women. Areas where women emerge as stronger are those required by leaders of organisations to be most successful in the coming century. We then go on to offer practical input to develop organisations that recognise those strengths. On the other side of the equation, we can help your women employees develop in areas where they tend to seem naturally weaker than their male counterparts. Get your White Paper Here! We'd be delighted to hear your feedback on what you are reading and how it applies in your organisation here. Do get in touch!